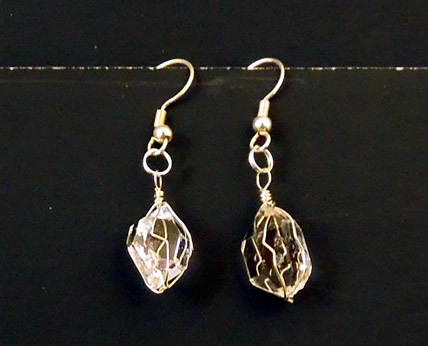 Notes: These natural double terminated Herkimer Diamond birthstone dangle earrings are large and water clear. 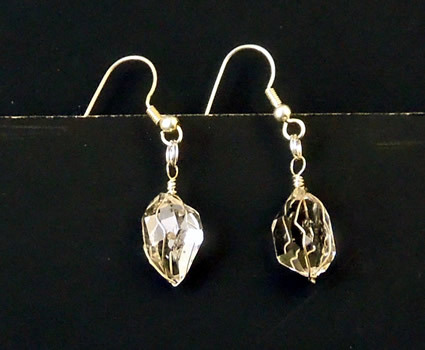 More rare and affordable than the traditional April birthstone, these water clear double terminated raw crystal earrings are a great alternative ! Each Herkimer crystal measures 16.5x11x8.5 mm (26mm = 1") / 8 ct. The largest size we use for earrings. Wrapped in .999 fine sterling silver wire, they hang from surgical steel French wire earrings. They are quality Herkimer crystals, wish they would have photographed better. The pictures don't do them justice. 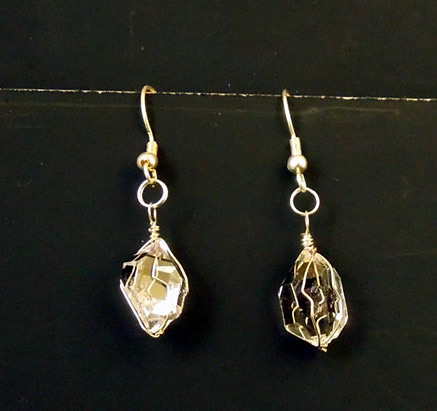 Natural Herkimer Diamond birthstone dangle earrings.